The moves so far comprise the Exchange Variation of Ruy Lopez. This move is almost always chosen at master level. 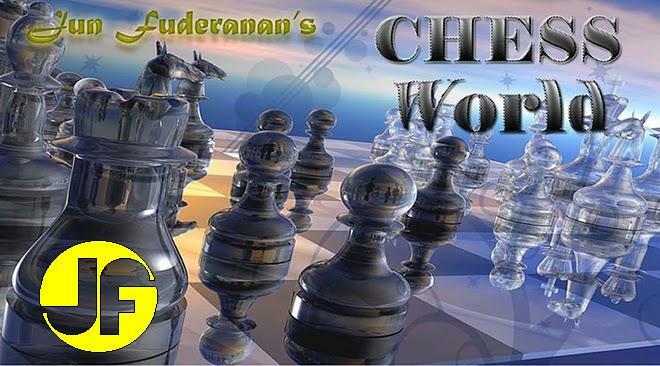 Black has gained the bishop pair at the cost of a weakened pawn structure, due to his doubled pawns on c6 and c7. In the Exchange Variation, by exchanging the 'Spanish Bishop', White aims to reach an endgame in which he has the superior pawn structure, which may become an important factor. Thus Black is compelled to strive for an active position, generally avoiding piece exchanges. If 15....fxe5, then 16. axb6 cxb6, 17. Ne4 Be7, 18. Rxd8 Bxd8, 19. Nexc5 bxc5, 20. Nbxc5... and White gets more than enough compensation. If 21....Kb7, 22. Nd6+ Kc7, 23. Nf7!. Black loses after 21....Kb5, 22. Nd6+ Kxb4, 23. Ra3!! Be7, 24. c3+ mate. Black loses material after 21....Kd7, 22. Ra7+ Ke6, (if 22....Ke8, then 23. Nd6+) 23. Ng5+ followed by 24. Ra8 or 24. Nf7. 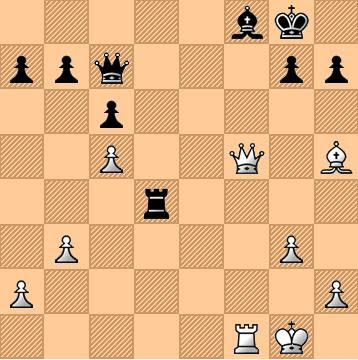 Black also gets nowhere after 21....Kc7, 22. Ra7+ Bb7, (if 22....Kb8, then 23. Nc6+ mate) 23. Rxb7+ Kxb7, 24. Nd6+ Kc7, 25. Nf7!. The Fischer-Sozin Attack. Promoted by Fischer, but ironically now used against him. Normally, Black prepares for the attack by ....a6 followed by ....b5. In this case, however, the pawn is fully supported. 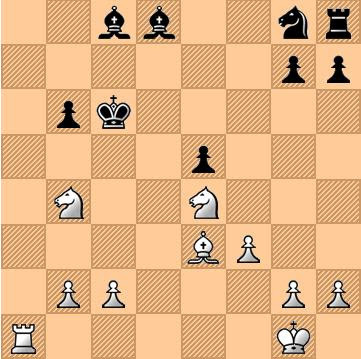 Typical of Fischer, who sacrifices pieces in order to achieve the desired position. White attacks Black's weakest link. Definitely not 22. Qh6 because of 22....Bf6, 23. Rxf6 Nxf6, 24. Bxf6 Rxf7. White resigns. Black's threat at b2 and f6 would be too much. If 23. Bxc3 Nxc3+, 24. bxc3 Bc4+, 25. Ka1 Rb8! and mate follows. 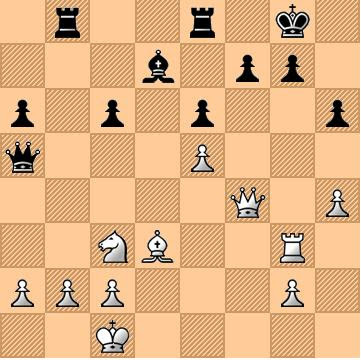 This reply of White is known as the Richter-Rauzer Attack (invented by Kurt Richter), threatening to double Black's pawns after Bxf6 and forestalling the Dragon by rendering 6....g6 unplayable. Prepares for castling on the queen-side. If 12....Nd5, then 13. Bxe7 Qxe7, 14. Ne4... then 15. Nd6 with a good position for White. If 20. Qxh6, then 20.....Qxf4. Clearly, White has a better plan. If 22….Kg8 then 23. Qxh6 f5, 24. exf6 and mate next move. Black cannot defend his f7 pawn without losing. If 23....Re7, then 24. Qh8 mate. A superb ending. Rubinstein recommends 9....e5, a liberating move. White changes the closed game into an open one, in order to liberate his own g2 Bishop. Not 13. exf3, because the pawn is intended for e4. 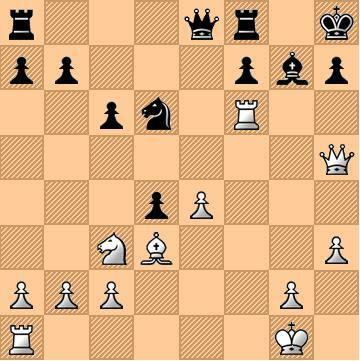 Necessary in order to prevent 16. e5, followed most probably by a breaking maneuver by means of d5 or g4. White maintains the threat at e5 while adding another threat at f5. If 18....Qe5, then 19. Qc4+, Kh8; 20. Bxd4. Not 20....Rd5 because of 21. Qc4 Kh8, 22. Bg4 giving White a superior position. Black may play 23....Qe7, but still left without defense after 24. Bf7+ Kh8, 25. Bd5 Qf6, 26. Qc8. There is no defense against 26. Qxf8+ and mate next move. Now if 25....h6, then 26. Qxf8+ Kh7, 27. Qf5+ Kh8, 28. Qg6 Qe7, 29. Rf7 and mate on either f8 or g7. A sparkling combination. The game was awarded the first brilliancy prize in the tournament. The move is intended to weaken Black's king-side pawn structure. Strategically, Fischer wanted this position. His Queen has to travel from f2 to h5. If 19.... Bxf6, then 20. e5!... with a mating threat at h7. If 21. exd6 Bxf6, 22. Qf5 Qe3+, 23. Kh1 Rfe8, 24. Qxf6 dxc3...and White's attack fizzles out. Definitely not 21. Rxd6 Qxd5 and Black neutralizes the position. With his last move, White gains a tempo. Now if 21....Qe7, then 22. Raf1 Rfe8, 23. exd6 Qe3+, 24. Kh1 Bxf6, 25. Rxf6 Re7, 26. Rxh6!! ... and White wins.